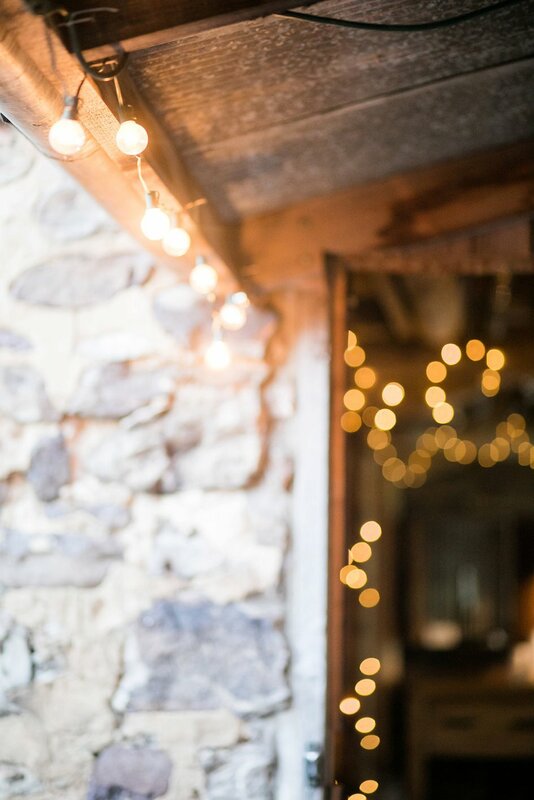 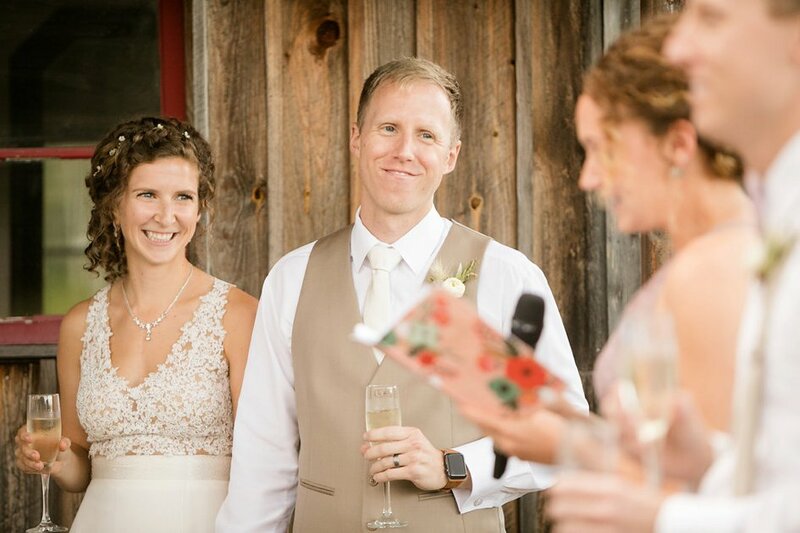 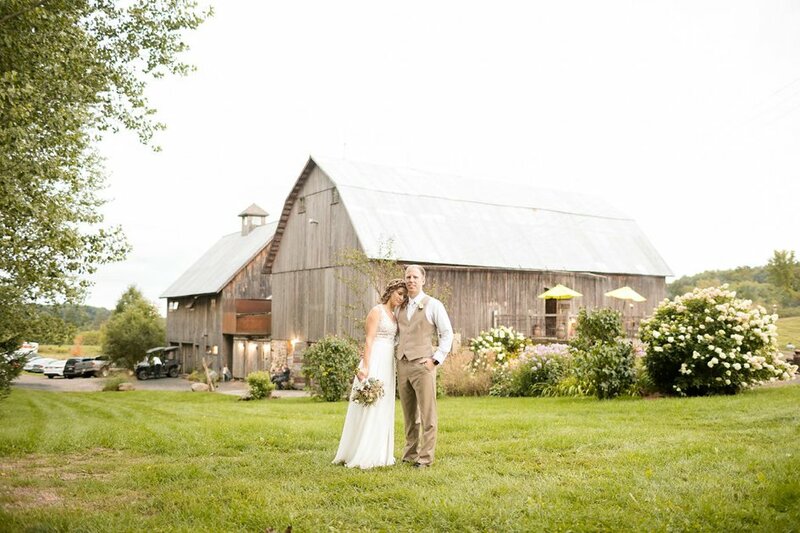 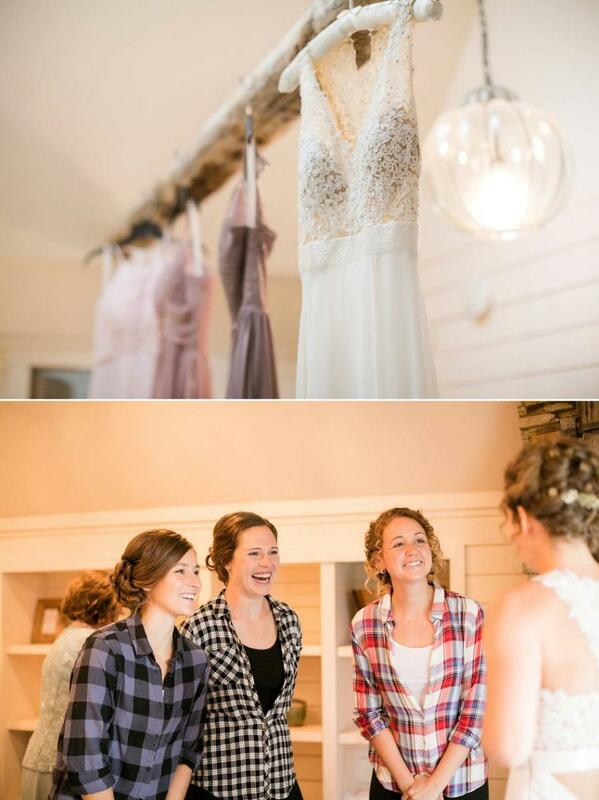 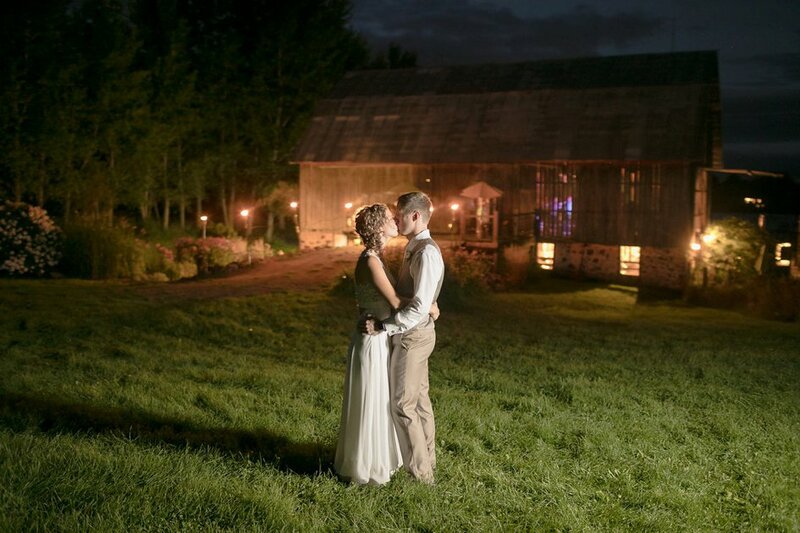 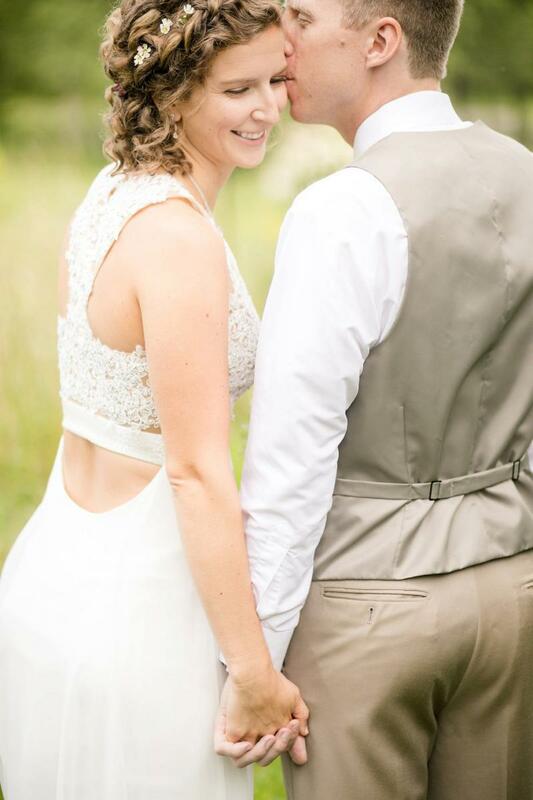 After a long-distance relationship, Susan and Alex tied the knot on a beautiful, rainy day in Hillsdale, Wisconsin. 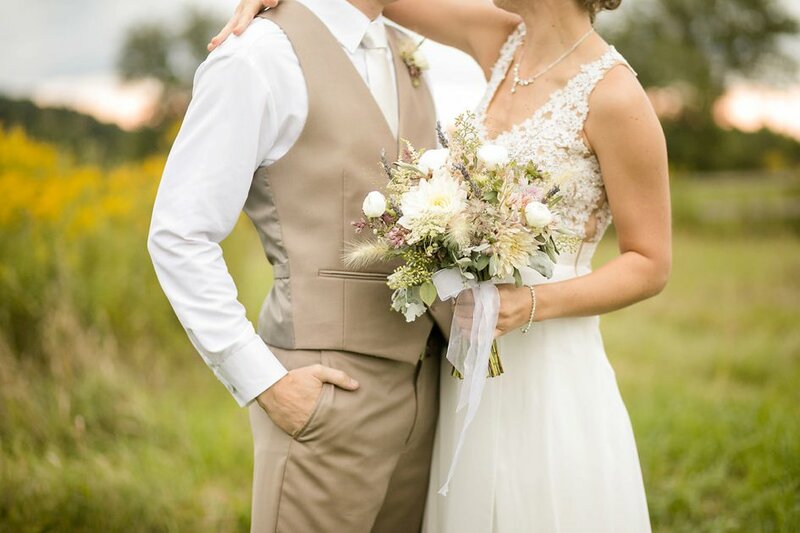 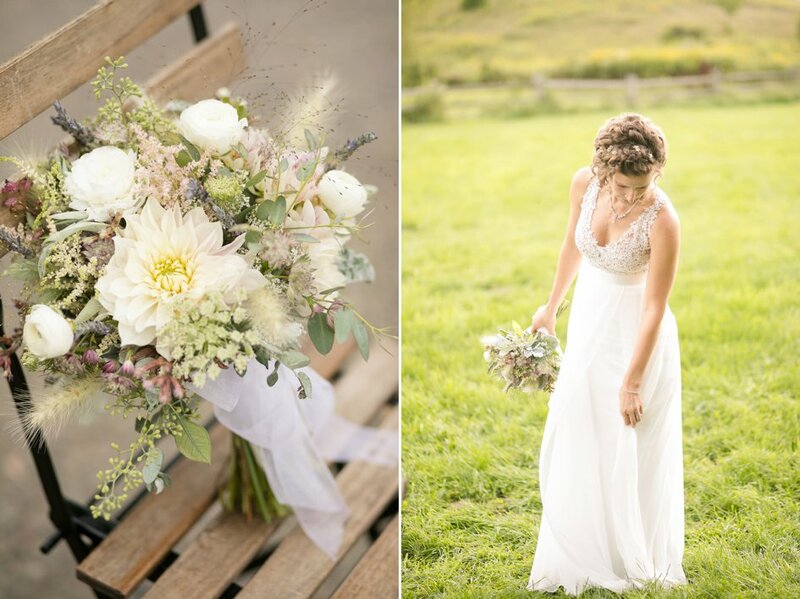 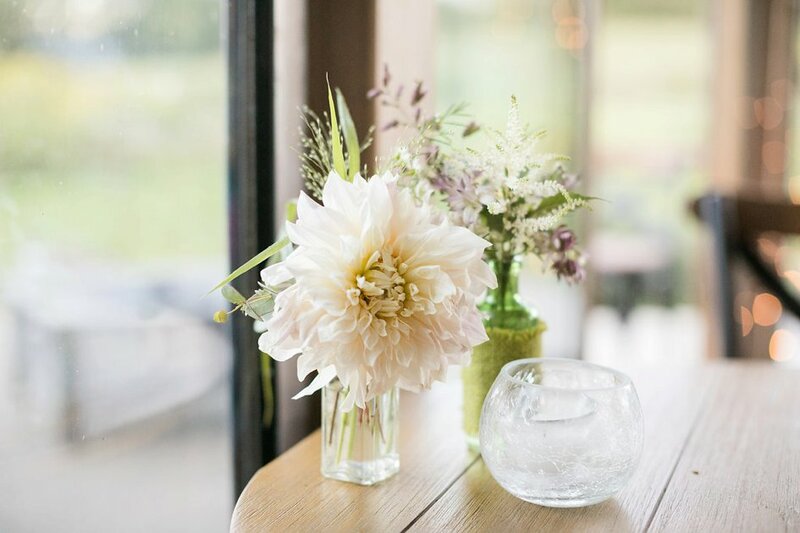 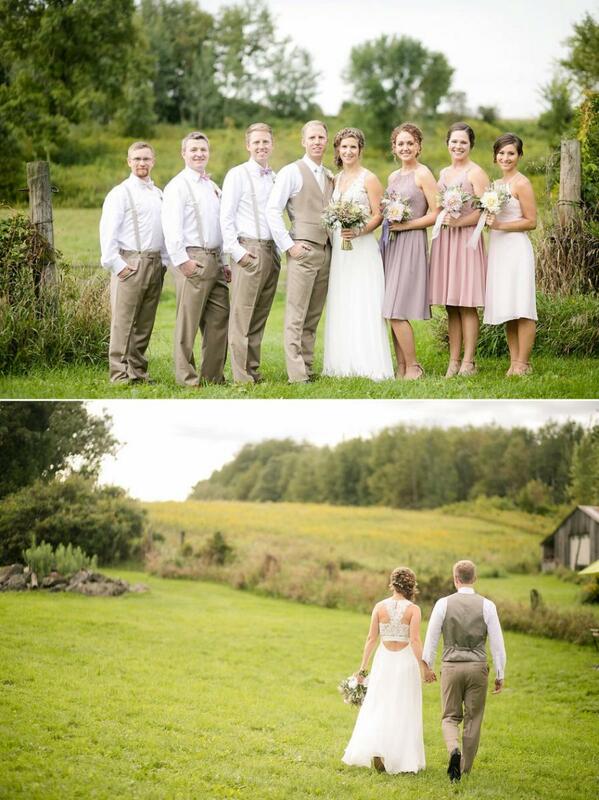 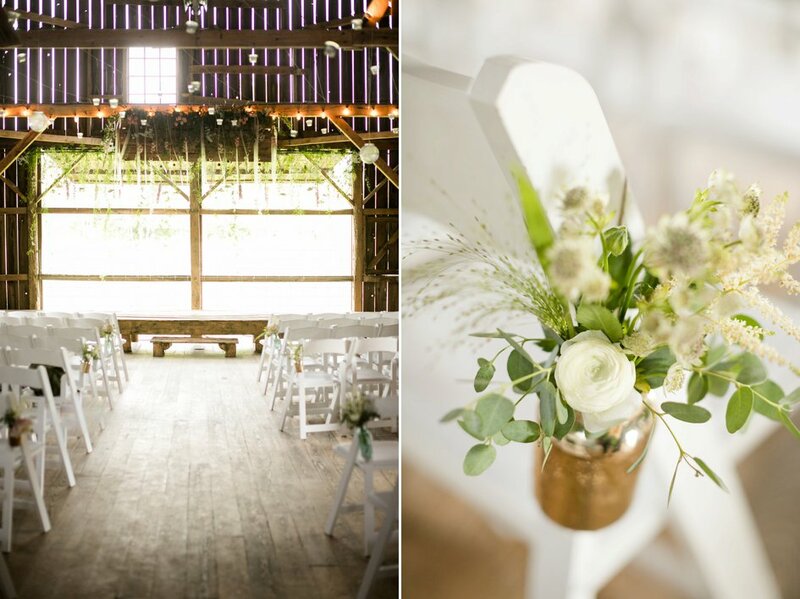 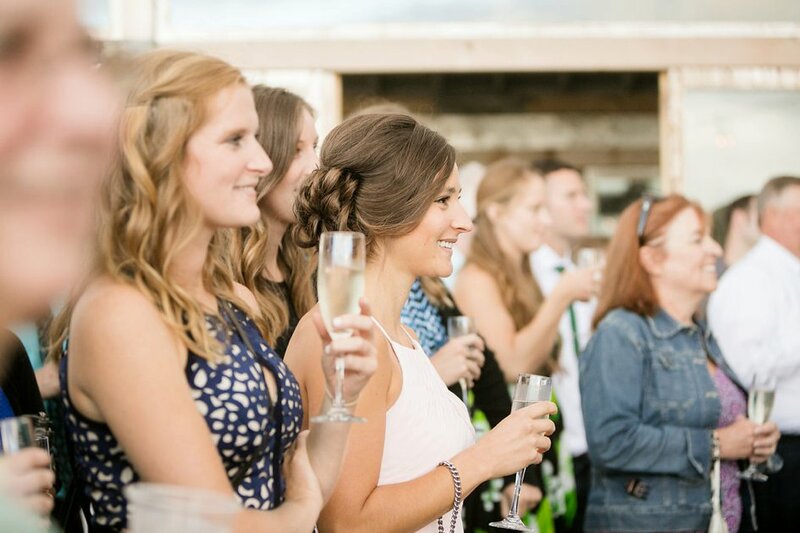 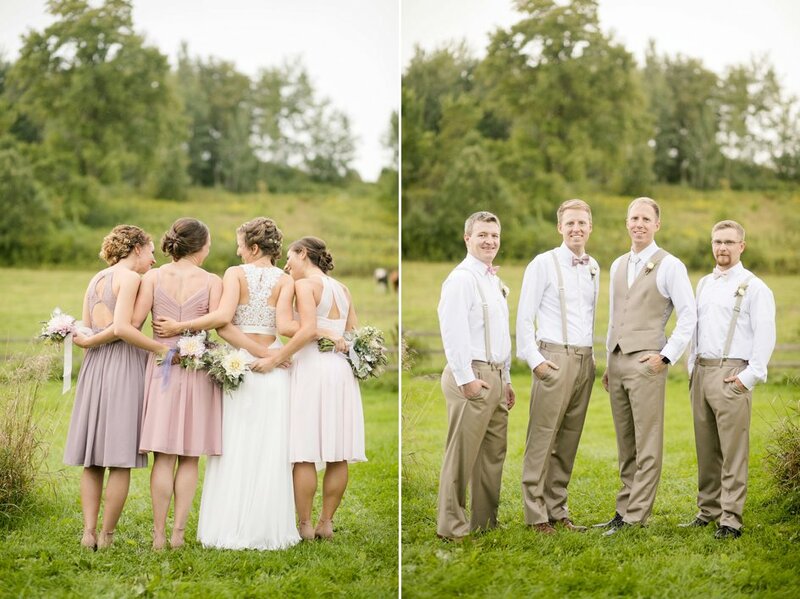 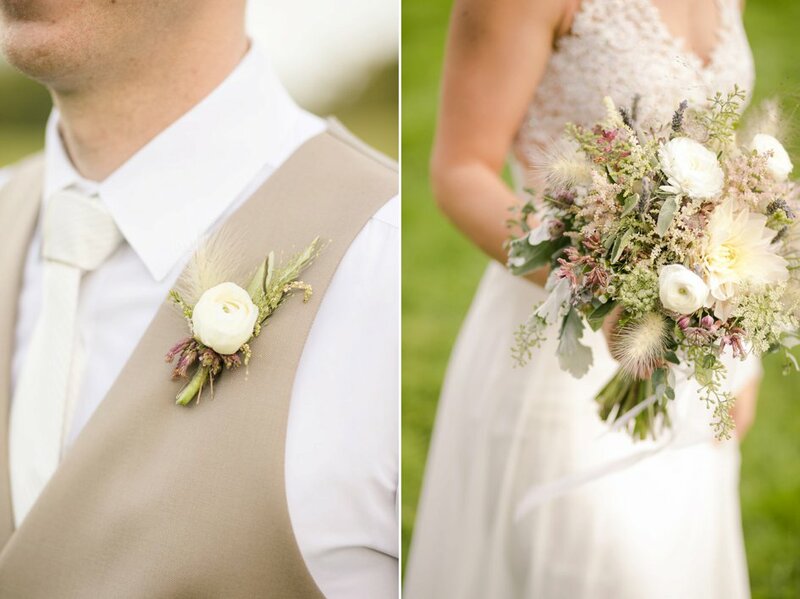 Florals were the theme of this summer wedding with stunning bouquets and countryside greenery. 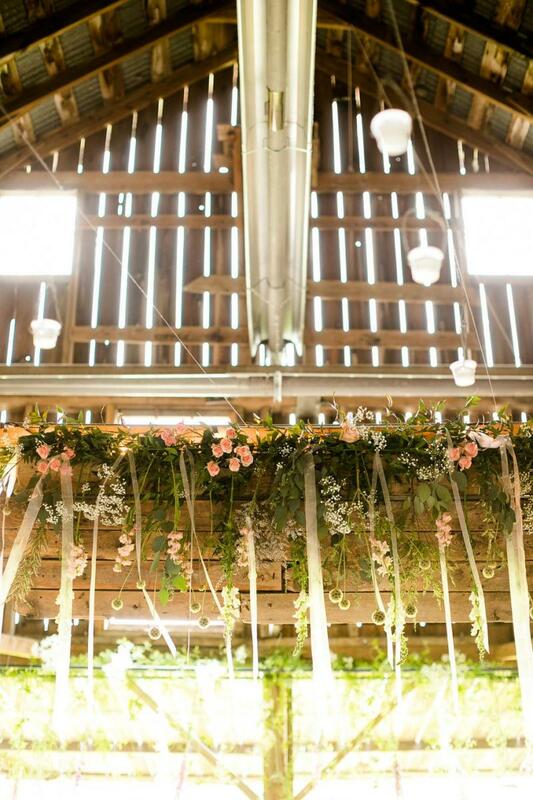 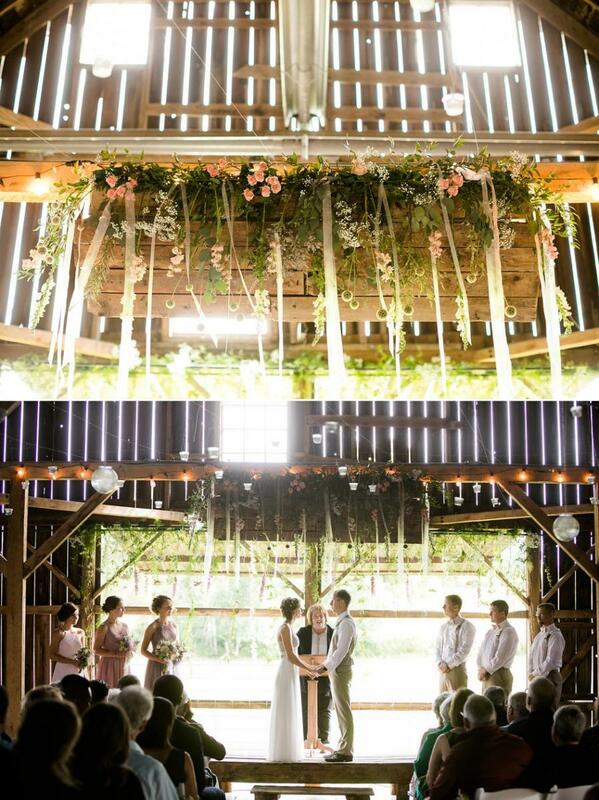 The couple said their vows under a cascading floral curtain. 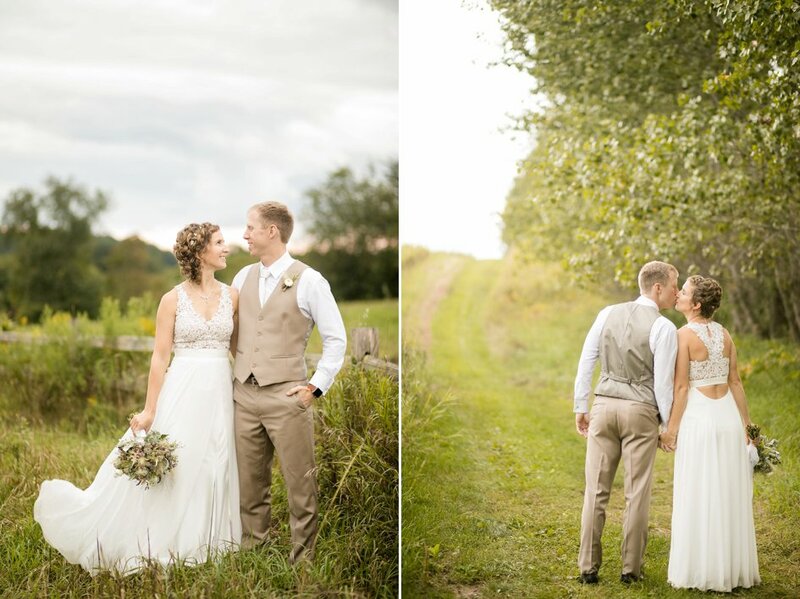 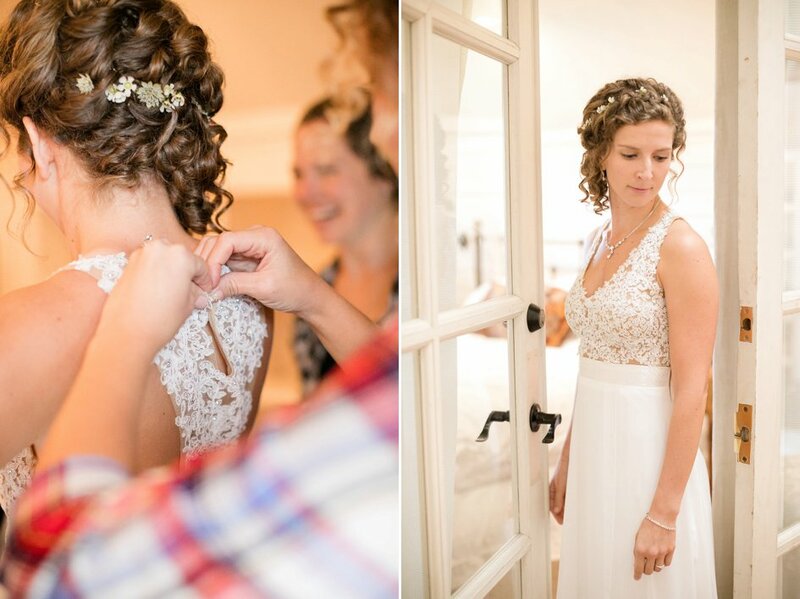 The bride chose a neutral color palette for the decor, which highlighted her delicate gown (with an unusual open back design). 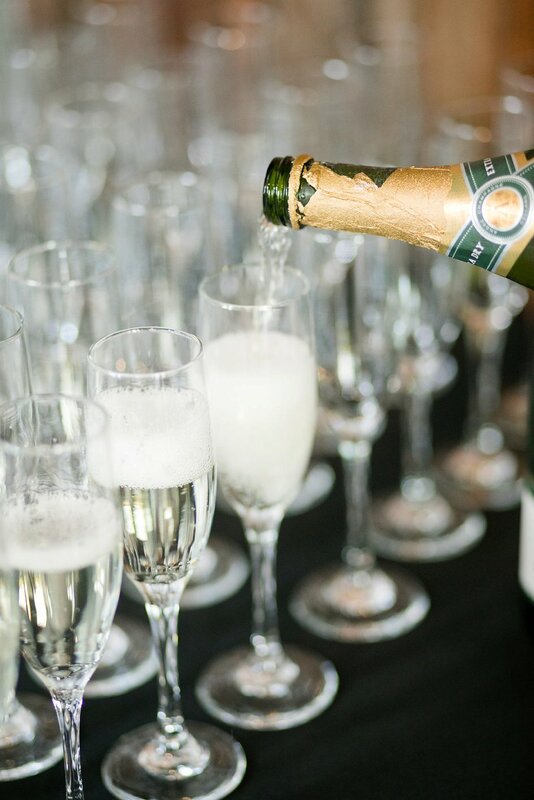 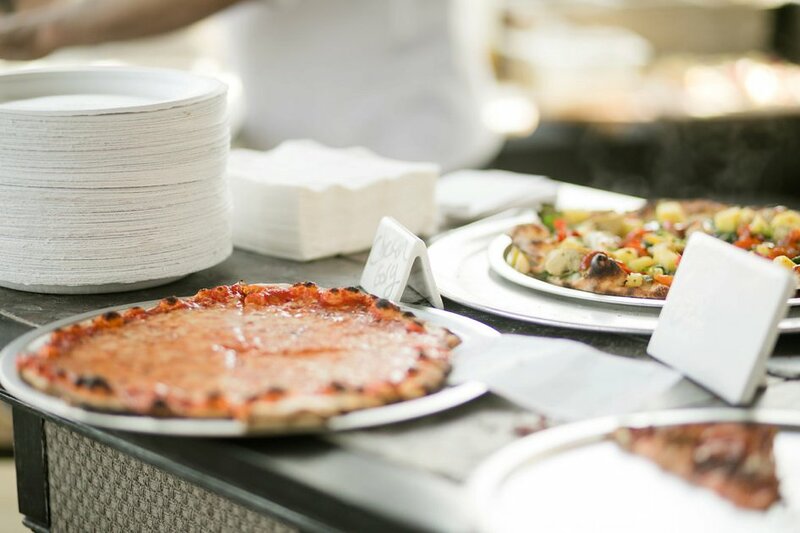 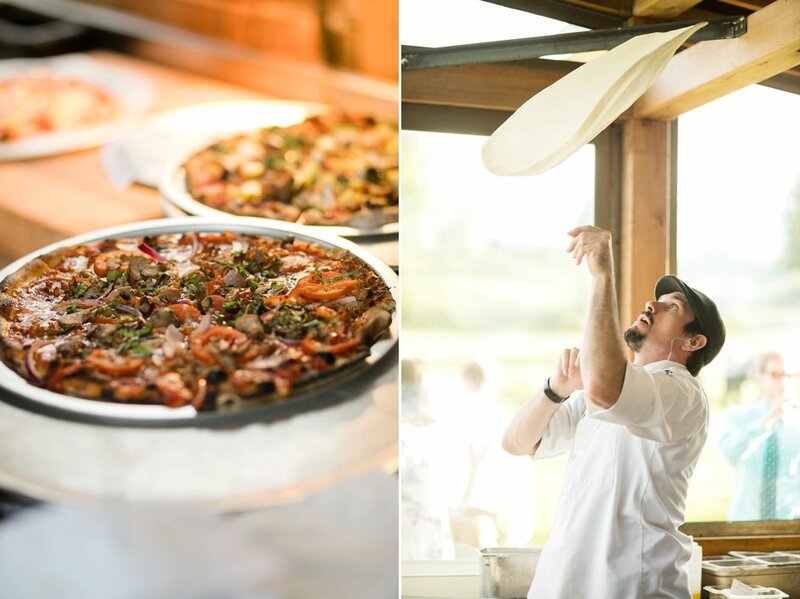 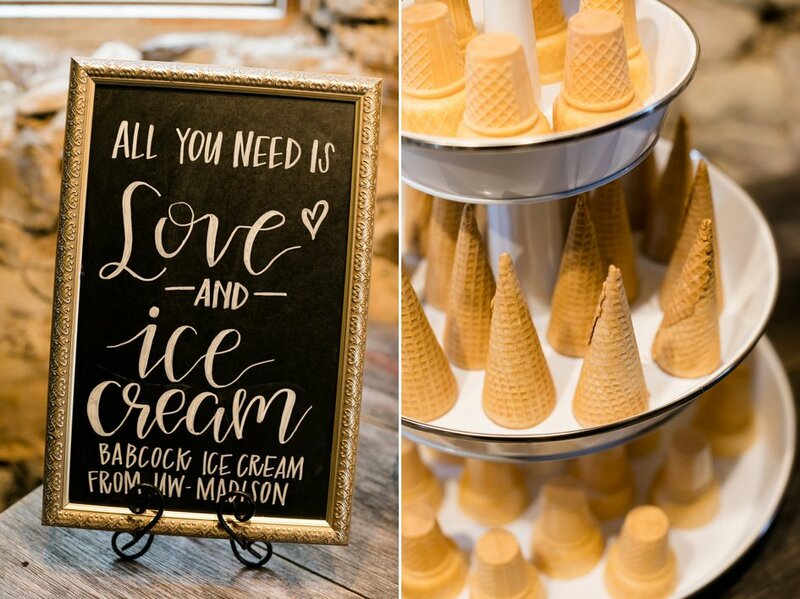 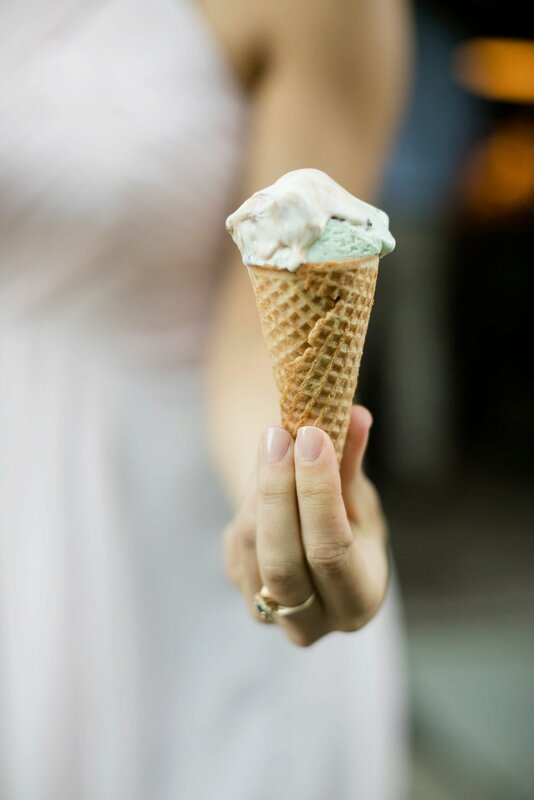 After the ceremony, guests dined on fresh pizza and ice cream cones. 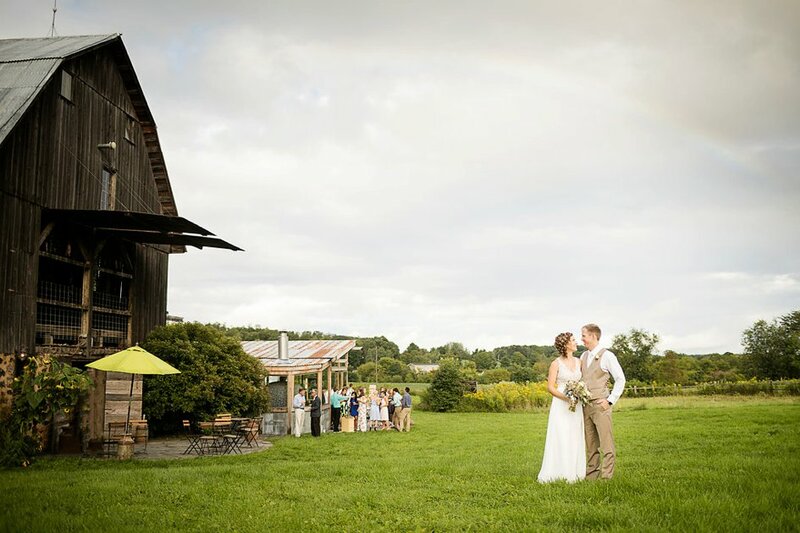 The rainy weather didn’t damper the mood, as family and friends celebrated the newly wed couple with dancing as the sun finally set behind the clouds.